"Our County needs fresh leadership in the Prosecutor’s Office." Pierce County Executive Bruce Dammeier endorsed Mary Robnett in the race for Prosecutor today. 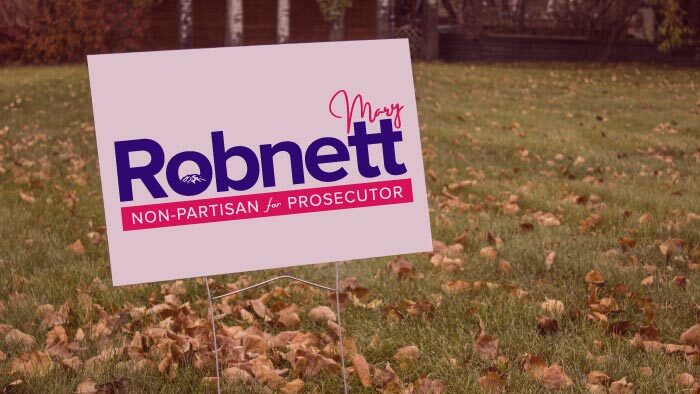 Dammeier joins former County Executive and current State Auditor Pat McCarthy, former Prosecutor Gerry Horne, and former state Attorney General Rob McKenna in supporting Robnett’s candidacy. Robnett is also strongly backed by law enforcement in the race. She is endorsed by the Tacoma Police Union, the Pierce County Deputy Sheriffs Guild, the Pierce County Corrections and Sergeants Guild, the Washington State Patrol Troopers Association, WACOPS, and the Washington State Association of Retired Police Officers. The News Tribune endorsed Robnett last weekend.